The first flag to fly for a Billy Casper Golf Course in Chicago back in 2003 flew at Indian Boundary. Each year since then, our agronomic team has stuck with tradition and have all signed the flag. 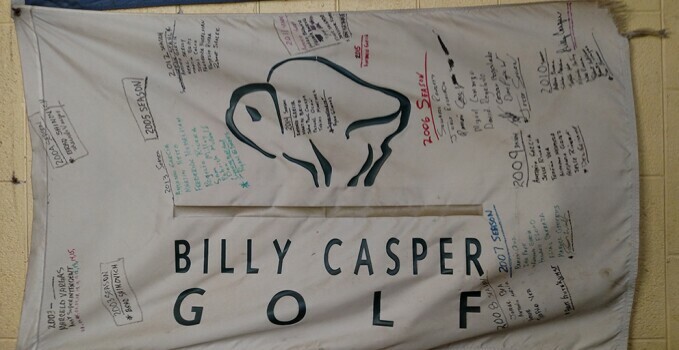 In 2010 we were lucky enough to have Billy Casper join the tradition by signing alongside our hardworking staff for that year.Such a cool piece of our course history to stumble upon and take notice of this past weekend!